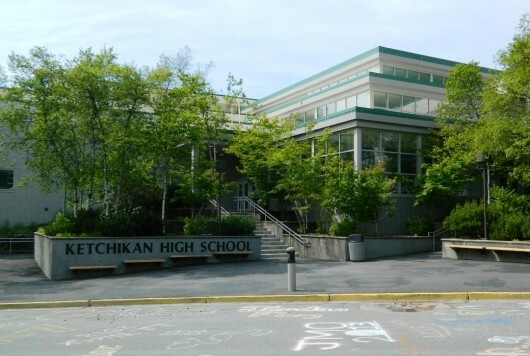 Ketchikan Education Association on Tuesday released a side-by-side comparison of initial contract proposals from the Ketchikan School District and KEA. According to a statement from the union, KEA wants the public to know what teachers are asking for, and what the district has offered. While negotiations themselves are private, initial proposals are considered public information. The proposals were exchanged in late February. Ketchikan School District Superintendent Robert Boyle on Wednesday released a written response with the district’s cost analysis of what the union is asking for. The overall cost difference between the two initial proposals, according to the district, is about $100,000 more than current spending levels versus about $1.7 million. The response also states that the union’s decision to release the information is a clear violation of ground rules established for negotiations. The KEA-provided comparison shows the district has offered a one-year contract. Teachers have been working on an expired contract since July of last year. A one-year contract would expire on June 30th of this year. KEA has proposed a three-year contract, which would expire in 2020. According to KEA, the district has offered a salary increase of $400 for each “cell” in the salary schedule. The district says that would cost about $81,000 a year. KEA says it has proposed a salary increase of 2.8 percent across the board for each of the three contract years. The district states that would cost about $425,000 the first year, and more each subsequent year. The union states that the district has offered increasing its share of health insurance premiums by $100 per employee, bringing the full-time-equivalent to about $14,000. The district says that would cost about $18,000. KEA says it has proposed an FTE of about $19,700 the first year, increasing each subsequent year. The district says that would cost more than $1 million the first year. KEA also asks that employees who don’t enroll in district health insurance receive $250 a month. The district says that would cost about $140,000 a year. KEA says it also has proposed additional training in CPR, first aid and school safety. Additionally, the union wants teachers to be confidentially informed of students with a known history that could be a threat, and wants the district to reimburse teachers who have had items stolen while on duty. According to KEA, it also has asked for a limit on class sizes, equitable music and physical education classes, an after-school math tutor, preference for current employees who apply for open positions, allowing teachers to donate sick leave to colleagues, and adding personal leave days for longtime teachers. The district and KEA recently started mediated negotiations. Comments made during school board meetings indicate those talks aren’t progressing.